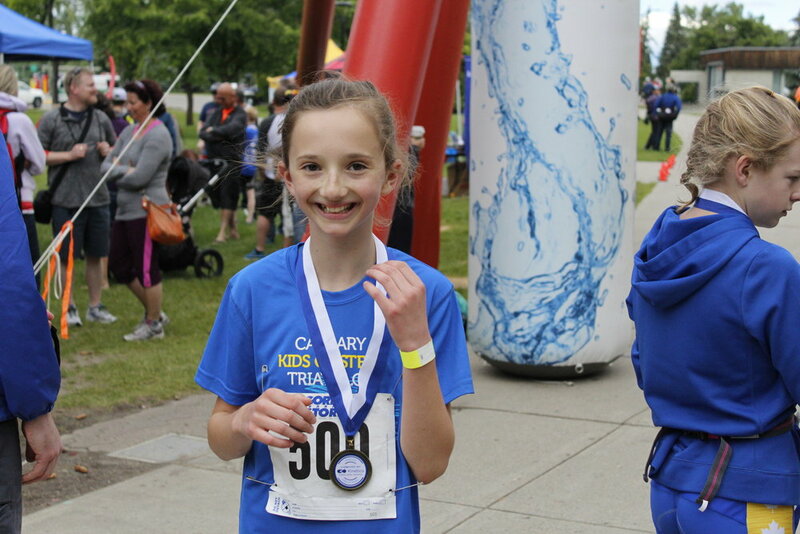 Welcome to Kronos, Calgary's premiere triathlon club for children, youth, and adults. 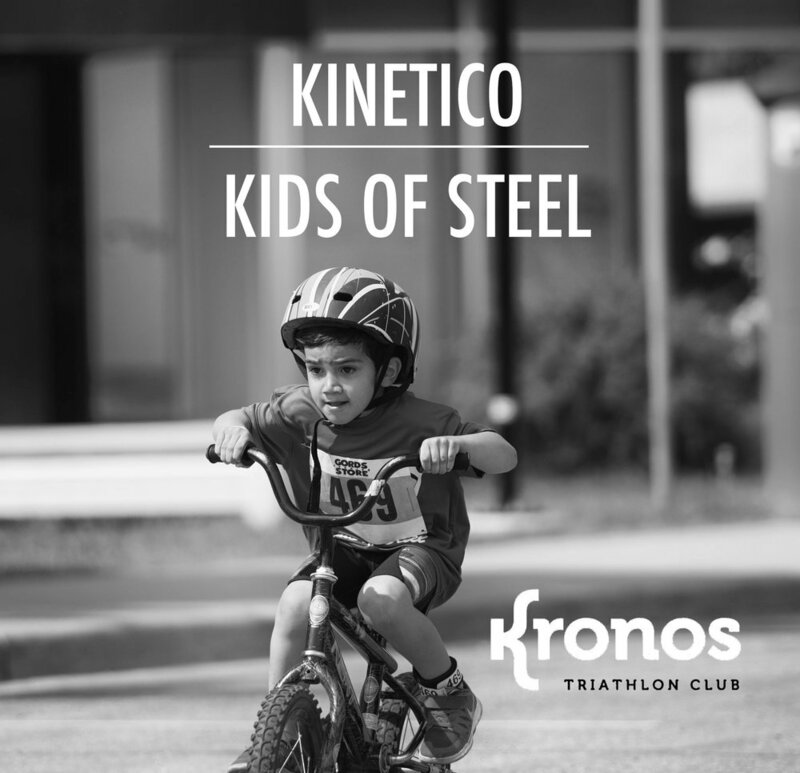 Kronos is a not-for-profit adult and junior triathlon club managed by a volunteer board of directors and a dedicated team of professional coaches. The 2018/19 season will mark our 20th year of operation! 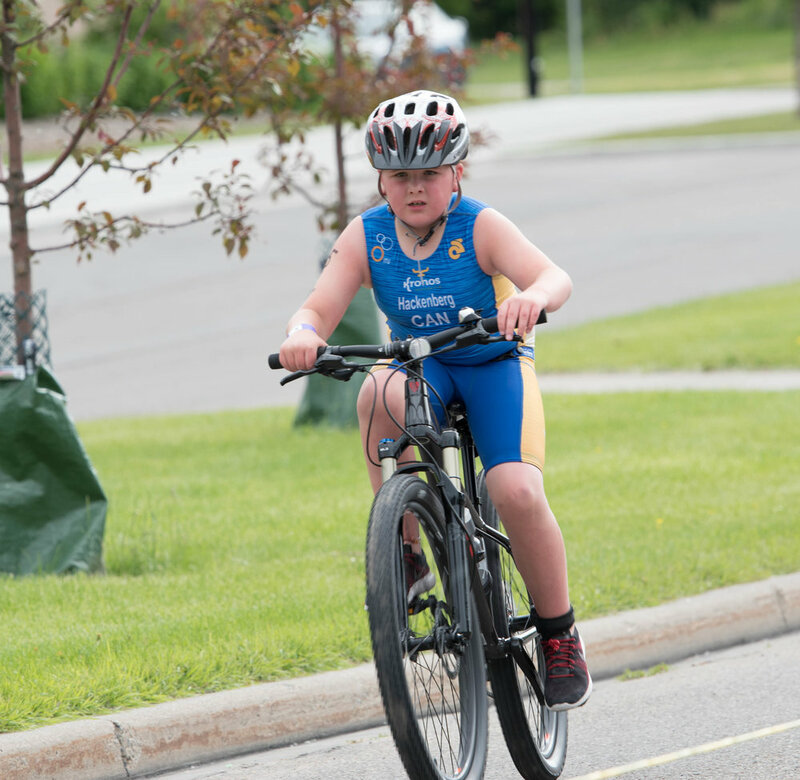 Our goal is to attract athletes across our region to triathlon and provide them with the best training, facilities and culture to meet their goals and be active for life. 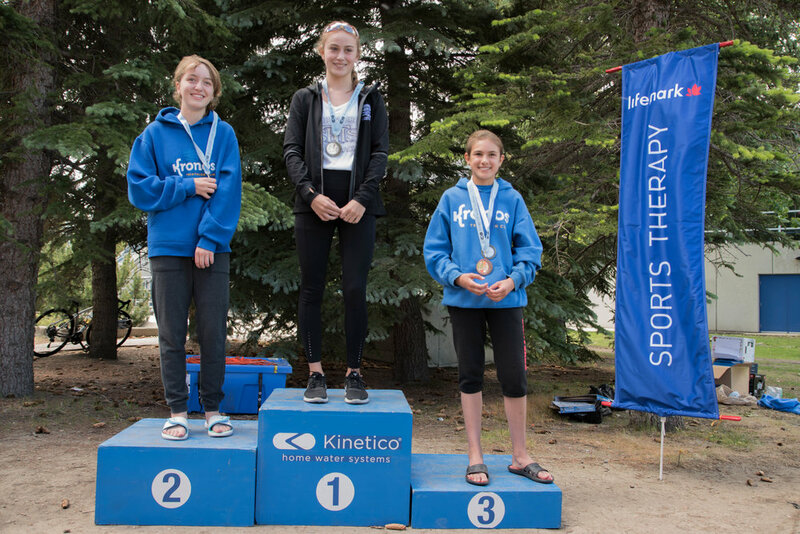 Kronos applies Canada’s Long-Term Athlete Development Model, enabling our high quality coaches to customize training pathways in short course triathlon to both high performance athletes and recreational active-for-life athletes. Athletes at either end of the spectrum (competitive or recreational) are all welcome to train with us. 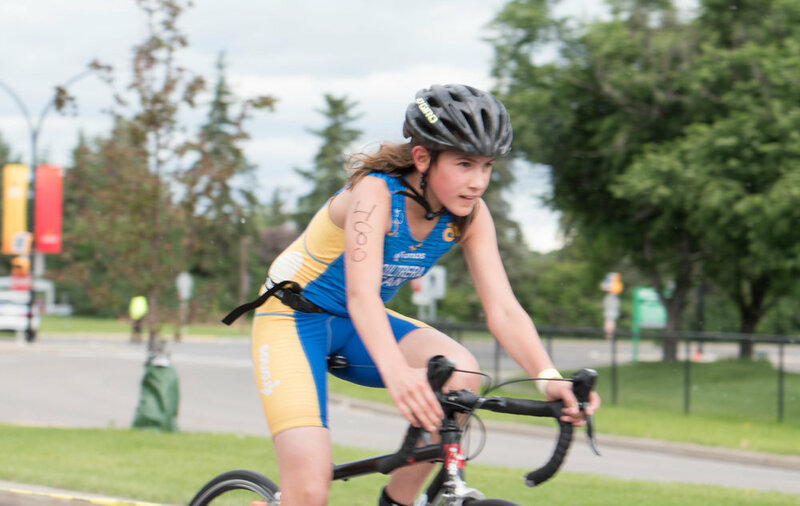 Training for short-course triathlon events, including kids of steel, youth / junior draft legal, tri-it, sprint, and Olympic distances. 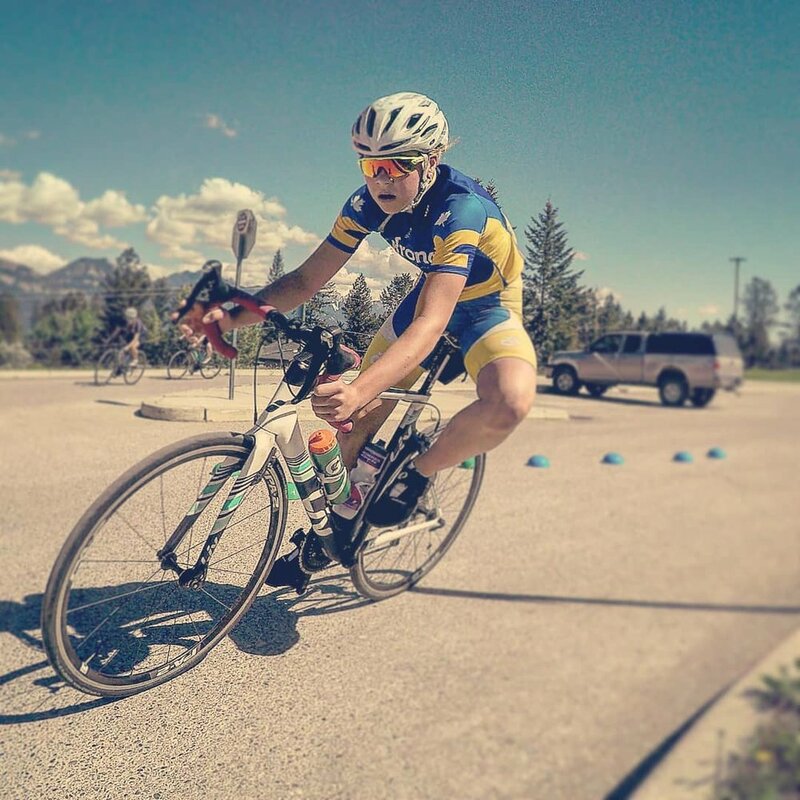 Our athletes are also well prepared to compete in duathlon, aquathlon, winter triathlon, track & field, cross country running, gran fondo, marathons, swim meets, charity runs and various cycling events. Some of our adult athletes will use our programs to build the skills and endurance required for Ironman events. 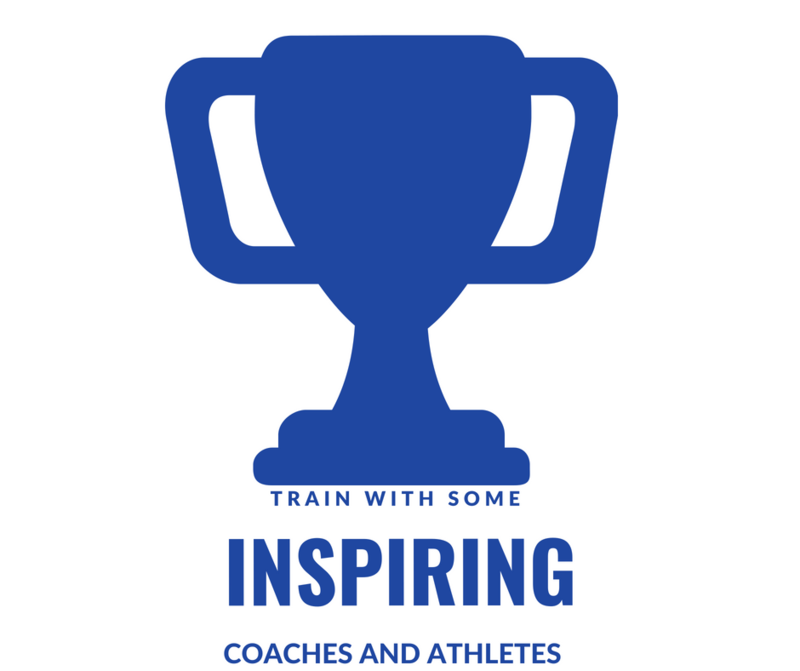 Professional NCCP certified coaches with extensive backgrounds in swimming, cycling, running and triathlon. Access to some of Calgary's best facilities. 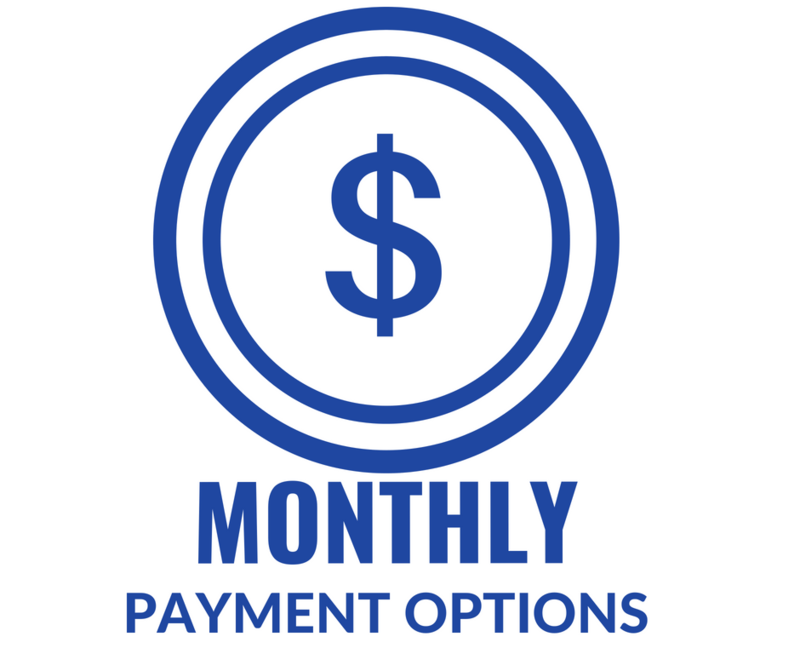 Discounted access to bikes, swim gear, and race equipment. See our TRIATHLON EQUIPMENT page for more details. Opportunities for parents to participate and increase their fitness levels. Our club is fun and very social. Our welcoming team atmosphere has athletes looking forward to even the most challenging training sessions. Triathlon is a great "2nd sport". 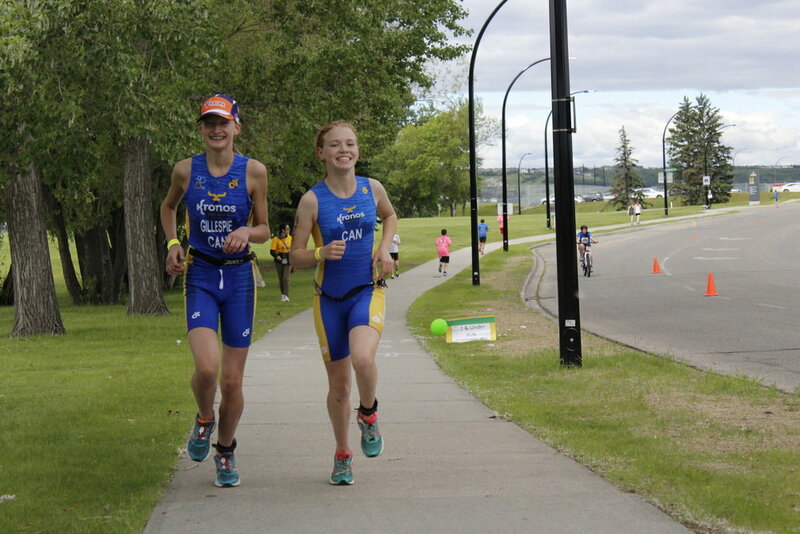 Athletes involved in other sports find that Triathlon provides an incredible boost to their fitness levels, and an opportunity to compete in exciting races over the summer. 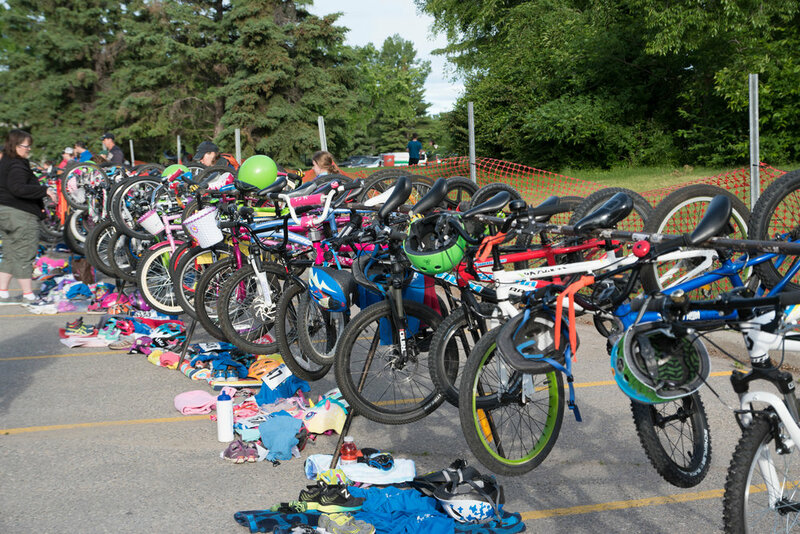 Triathlon is also a great sport kids / youth to join at any age. Many of our top athletes have entered the sport in their teens. Athletes with a background in competitive swimming, synchronized swimming, soccer, hockey, skiing, basketball, or any other sport will generally make a very successful transition into Triathlon. Triathlon is a lifetime sport, with athletes remaining engaged in the sport well into adulthood. 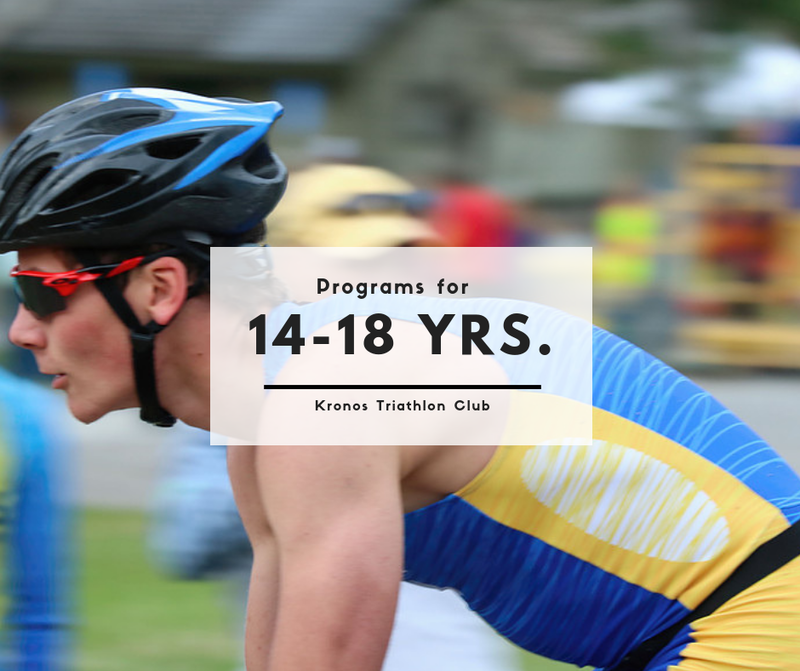 Kronos is an adult & junior swim club, running club, and cycling club all in one. Receive top notch swim training, run training, strength training and bike training. Triathletes at all ends of the recreational and competitive spectrum see tremendous physical benefits from their training. Strength, endurance, speed, flexibility, and co-ordination are enhanced in all 3 sports (swimming, cycling and running). 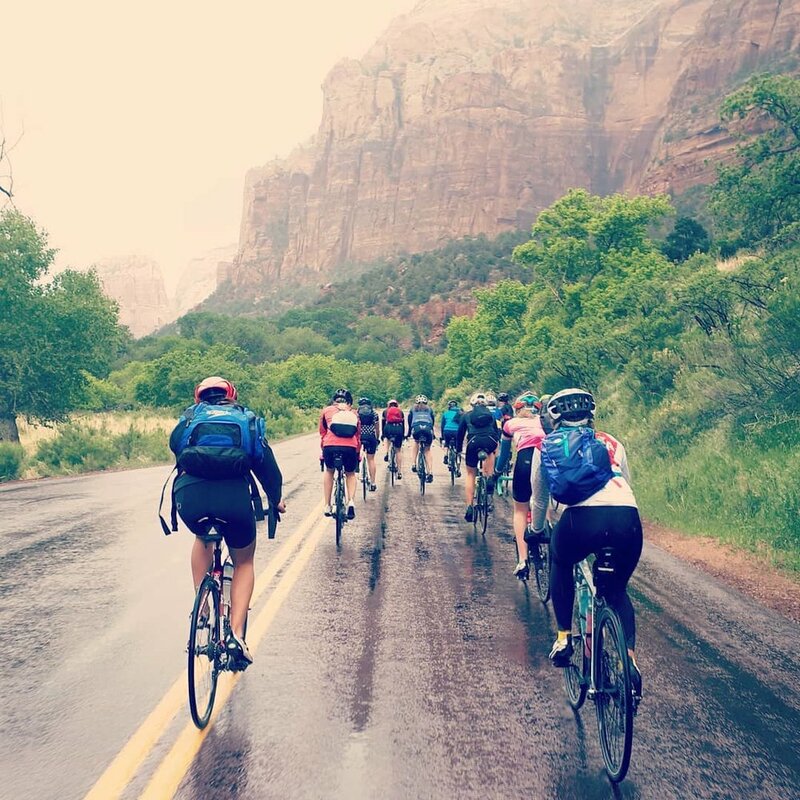 Triathlon provides an opportunity to develop individually and work as a team. Our team training environment helps get the best out of all athletes, and teamwork is a key element in many races (relays, draft-legal etc.). One example - Triathlon Mixed Relay will make its Olympic debut as an official sport in the 2020 Tokyo Olympic Games. 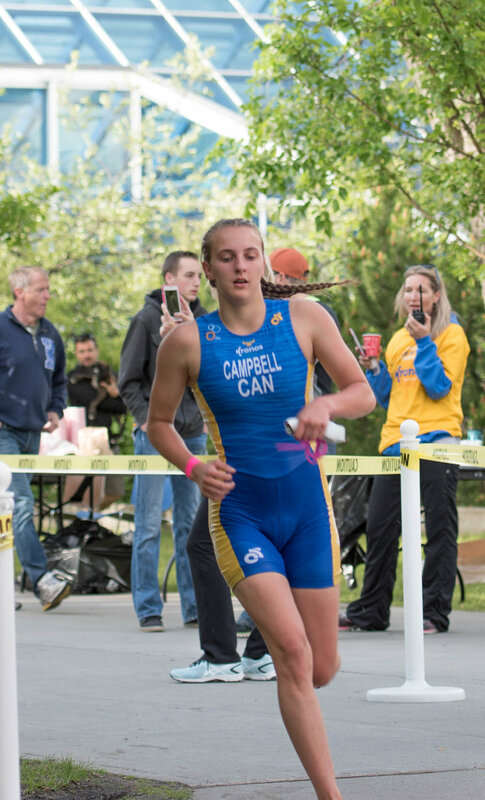 Triathletes learn discipline, perseverance, goal setting, time management, and many other skills required to be successful in the real world. Many of our youth and young adult athletes are top academic performers, and are prepared for the challenges of post secondary and adult life. Countless Alberta Summer Games and Canada Games participants. More than 500 Kids of Steel, Youth/Junior Draft legal, and Adult Age Group athletes.